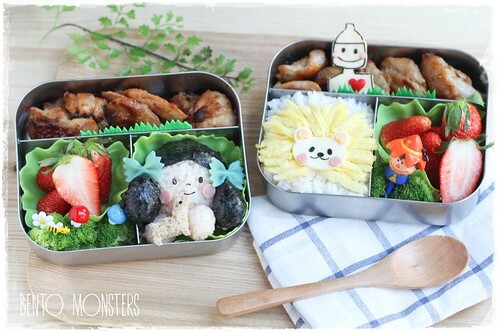 The movie Oz The Great and Powerful is coming out soon, so my fellow Bento Bloggers and Friends decided to do a Wizard of Oz bento hop. I know nothing about this upcoming movie, so I just did the main characters in the book instead. 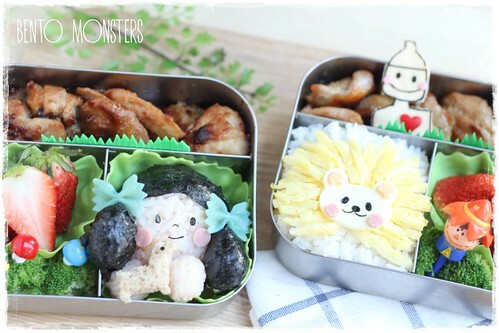 I made Dorothy holding Toto, Cowardly Lion and Tin man for their lunch. I did not make Scarecrow since I had a bento pick I could use! :) The sides are grilled miso chicken, broccoli and strawberries. For Dorothy, I coloured rice with a little ketchup, her hair are nori and her bows are pasta which I tinted blue with Wilton spray mist. Toto is made from bread. 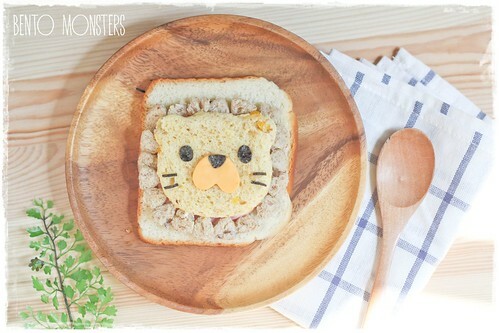 Lion is made from egg, cheese, ham and nori. Lastly,Tin man is made from cheese, nori and cupcake sprinklers. 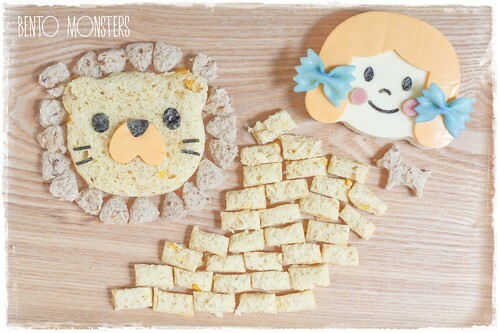 I also made Cowardly Lion and Dorthy sandwiches for my boys' snacks. 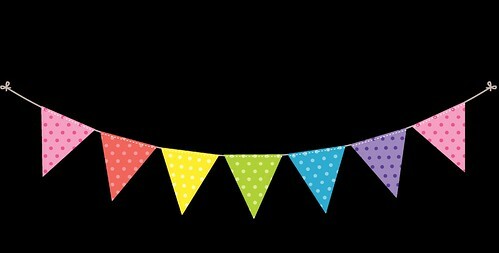 They are cut out using CuteZcute. Yellow brick road was first cut out using FunBites, then I cut the squares in halfs to get rectangles. 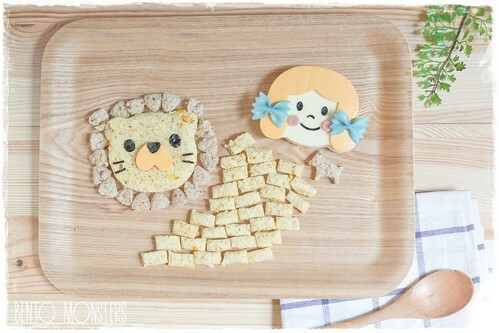 The lion's mane is cut out using the ears of the CuteZcute cat cutter. 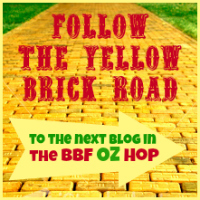 Now, please click on the image above to hop over to Bentodays and check out Jean's awesome Oz creations.